Mid-term planning: Don't panic! 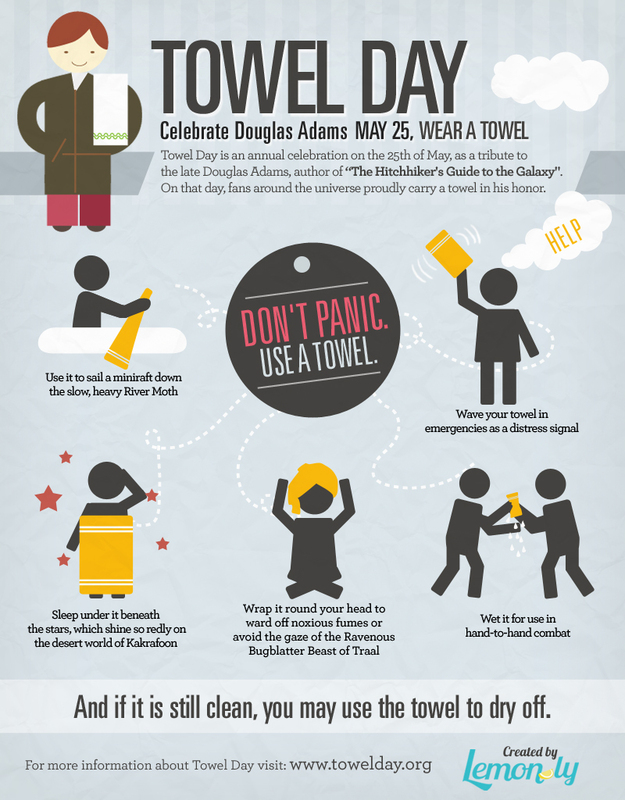 Use a towel! Reason #54673 why entrepreneur's life is awesome: I'm leafing through quotes of Hitchhike's Guide to the Galaxy for this very post! Why? Because today we're going to talk about panic vs. "using your towel" when it comes to changing Mid-term plans. That’s why we make them in the first place - to follow changes on the path to our goals. But sometimes the changes are so fast and frequent, they set off highly painful anxieties. You may decide to stop planning altogether, because nothing comes of it anyway. So when is it OK to let mid-term plans change, and when it’s legit to panic? Let's see. Say, your designer won the lottery and quit 2 weeks before the Big Launch. On the condition that it’s limited in time. Ideally you have a plan B. When you’re done with panic-party, go ahead and crush the Plan B, even if Plan B is “never mind, I’ll live without that JV/website/training/whatever”. It’s legit to panic, or at least stop and think, when you notice that your plans change in a major way every week or so, for 2-3 months in a row. Of course, I’m not talking about getting 3 times as much traffic as you planned, or booking twice as many clients as you hoped. We are talking about NOT hitting your goals. It’s OK if you have discovered new things (I need a patent! Next week! My SEO is hurting my outreach, it needs immediate attention!). It happens. The problem begins when you plan 5 key things for the week, and consistently accomplish 2 of them max, because... reasons. - Do you have executive function issues? - What are you avoiding? I wish I had clear-cut, one-size-fits-all answers and recommendations for both scenarios. I don't. When you find that thing you tend to avoid, this is where your towel is. This is what you need to take care of - either by yourself, or by enlisting a friend, or hiring a professional.